Master Mind Tutorials Pvt. 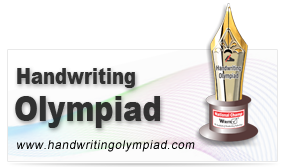 Ltd launched its new websites for 3 products namely Master Mind Abacus (www.mastermindabacus.com), Write Right (www.writerightindia.com), Master Mind Vedic Maths (www.mastermindvedicmaths.com). Our all new interactive design reveals the company’s mission of providing the best supplementary education solutions to children. The all new websites are user friendly and provides the general public enough information that will help them make sound decisions. The dedicated efforts and creative thoughts from our team have made us reach another level having a significant internet presence. Also, we aim on nurturing our customer’s satisfaction my being open, transparent and accessible to them. · Friendly User Interface: It allows the visitor to use the website in the simplest manner without being confused while gathering data. · Better Navigation: This helps the visitors on the website to find relevant information that is systematically arranged for them. This makes them get a clear understanding about the product. The website has been made SEO friendly by following ethical tactics in order to get the top rated ranking on the search engines, which is a decisive need in this internet era. Master Mind is a growing education company which has been serving lakhs of students to get better and develop their overall personality. Through our vast franchise network, the company has reached to the most advanced and rural places of India and abroad. It specializes in offering handwriting improvement programs, Abacus course and Vedic maths programs to students.